A well-known cultural symbol, mostly associated with the Székelyföld (Szeklerland, Ţara Secuilor) is the so called kopjafa, which could be translated as “lance staff.” Nowadays it is generally used as a memorial column, as a memento of esteem regarding remarkable accomplishments, or to mark places of historical importance. Originally though, the kopjafa was a characteristic grave marker in Székelyföld, with a well established design and motif-system. Headstones carved out of wood have several forms: they can be in the shape of boards, boats, and columns or pillars. 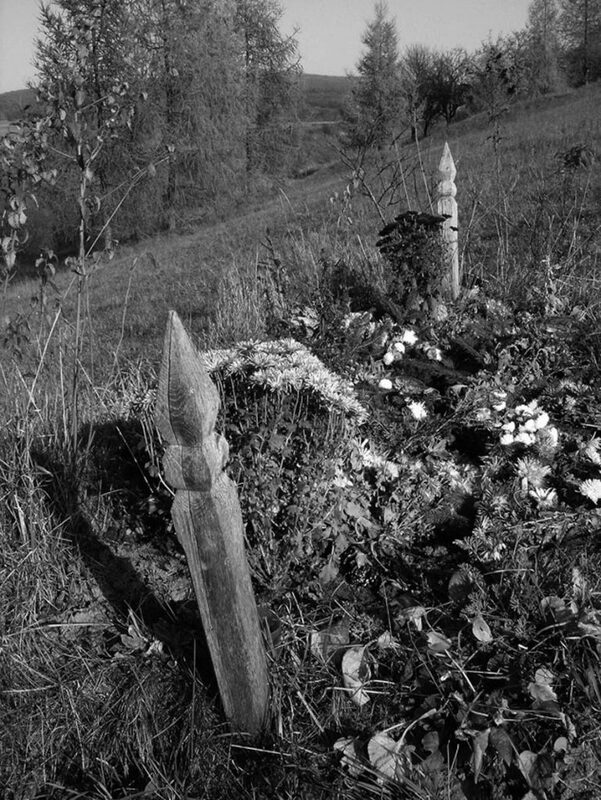 The kopjafa is one type of the pillar-shaped wooden headstones. Some consider that it invokes an old Szekler funeral tradition, according to which the coffin of the deceased warrior was carried on two lance-like stabbing weapons to the graveyard, and after the burial these were stuck at the two ends of the grave. There is no real evidence to this theory though; the fact is that in the past two wooden poles were used to carry the coffins of every member of the community, not only men. Vernacular language referred to these poles by suggesting that they were carved like the stabbing weapons. In ethnographic literature the kopjafa is mentioned for first time by Balázs Orbán in 1868, in the village of Atyha (Atia). The image is an illustration. The slender, pillar-like form of the kopjafa can be carved on each side, being decorated with several rows of geometrical motifs, whilst the tip of the pillar can end for example with a sphere, a flower, or even a spear- or a mace-like form. Whilst board-like headstones can carry even personalized rhymes related to episodes of the deceased, the svelte sides of the kopjafa can only contain very basic carved information. The height of the pillar is 200-300 centimeters, and about one-third of it is underground. Presently the main function of the kopjafa is that of the memorial column, and artisans of folk art carve them. The motifs carved on a kopjafa belong to a complex symbol-system, each element holding specific information; interpreting these it is not an exact science though, because they differ from region to region, and nowadays artisans combine several symbols in line with their own creativity and fantasy.